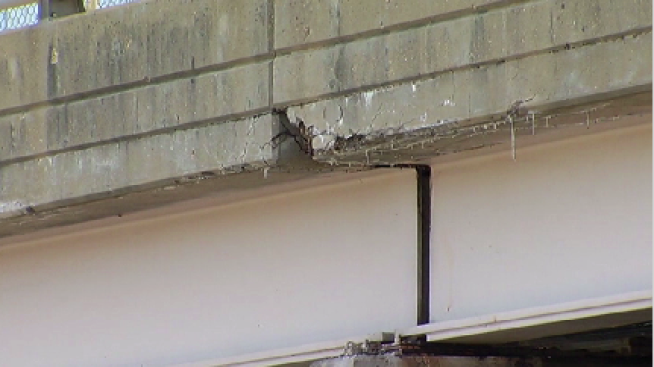 Residents and businesses around the Route 7/Dulles Toll Road interchange can expect to hear some noise during the remaining demolition of the original Route 7 overpass, according to the Virginia Department of Transportation. Crews will be breaking concrete to get rid of the old overpass. The Fairfax County Department of Planning and Zoning has granted a noise waiver to allow crews to work during specific times until Aug. 30. •	Sunday: 9 a.m. – 11 p.m.
•	Monday: 7 a.m. – 11 p.m.
•	Tuesday: 7 a.m. – 11 p.m.
•	Wednesday: 7 a.m. – 11 p.m.
•	Thursday: 7 a.m. – 11 p.m.
•	Friday: 7 a.m. – 9 p.m.
•	Saturday: 9 a.m. – 9 p.m. Noise levels will be monitored at all times. Last month, Route 7 traffic was fully shifted onto the rehabilitated and widened bridges over the Dulles Toll Road.